Most of traditional light boxes display in the market is NON-DIMMABLE , recently we released DIMMABLE led fabric lightbox which is eye-catching in AD industry . 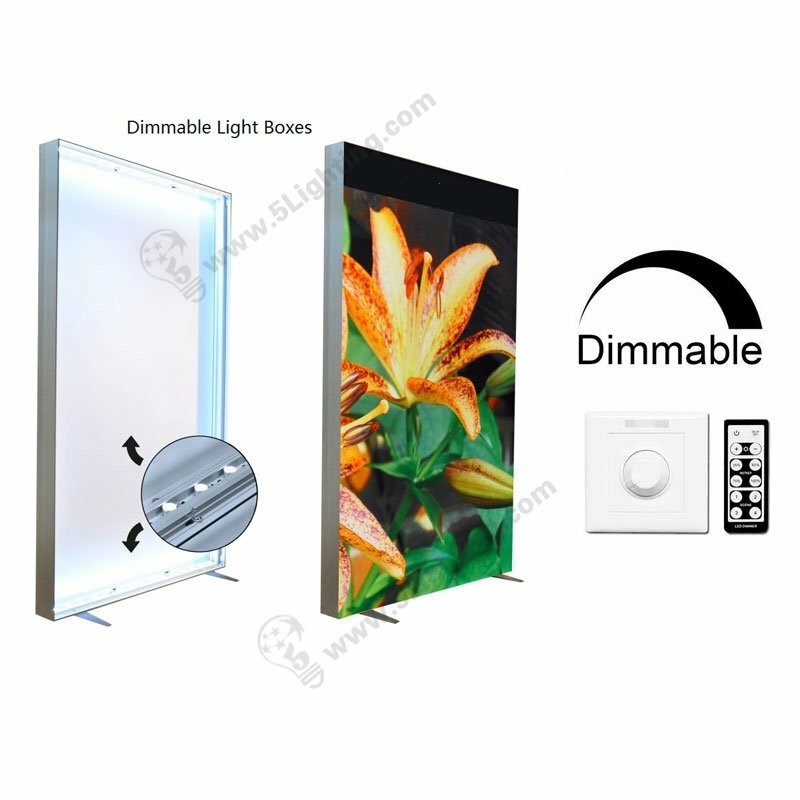 This dimmable fabric light box is adopted OSRAM led bulbs as illumination source . It emits 100 Lm – 120 Lm per watts , each led chip unit is 2 watts in comsumption with around 250 lumens brightness . 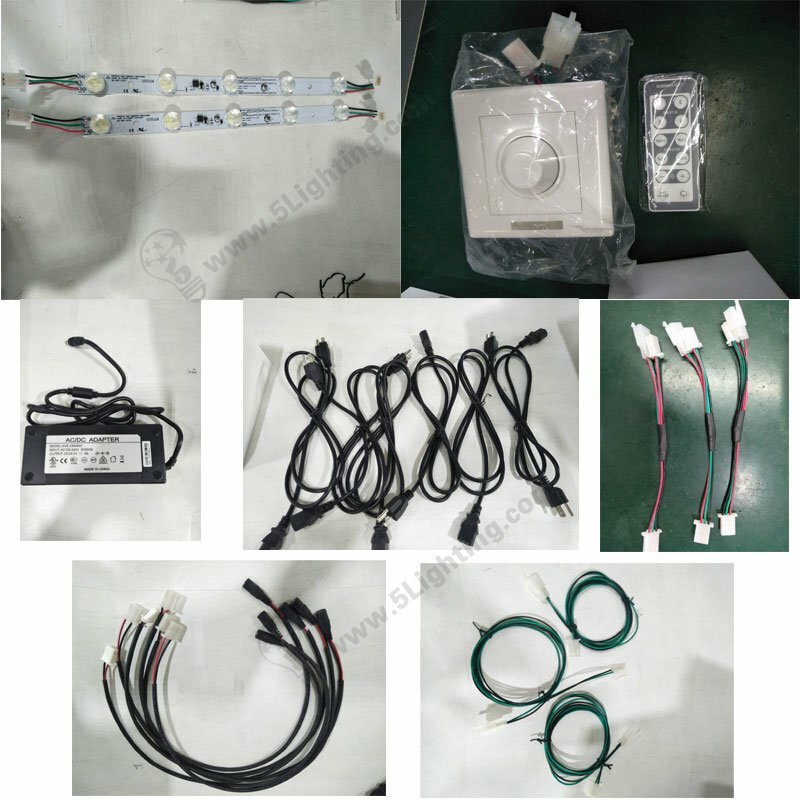 We using high power edge-lit strip bars solution for these light boxes, 5 OSRAM leds for one strip , totally would be near 1200 lumens in each rigid strip lights . Edge lighting is a new kind of illumination solution for light box industry comparing tradition fluorescent back lit curtain lights . It makes light box kits compacted and cost-effective for shipping . 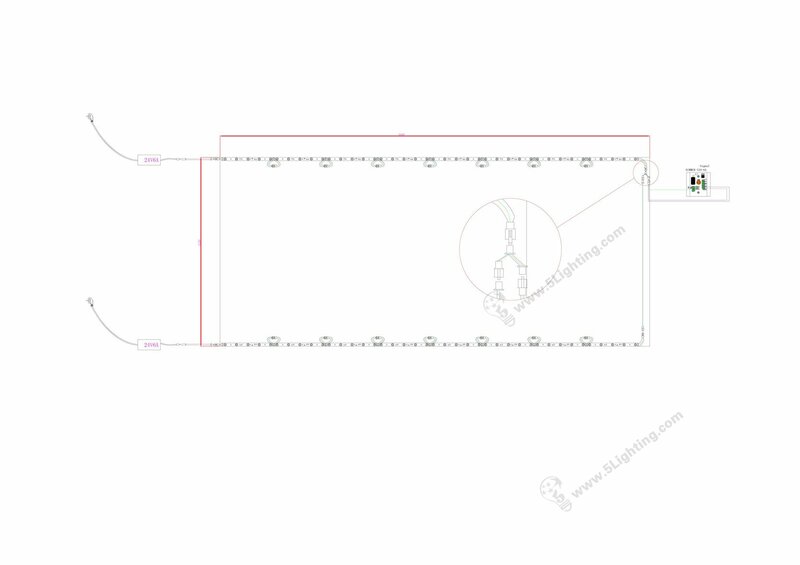 One dimmable led fabric light box will be quickly assembled in 5 minutes. Easy for dis-assembling or change new printed fabric graphic . Our dimmable led kits can be applied to both double-sides or single-side lighting boxes well . If cusomer need much brighter effect , we can advise using edge lighting for full four sides around light boxes . With special design optical lens ( 13 Degree X 39 Degree) , our edge-lights can be well used for super slim fabric display box ( Not less than 5 cm in thickness ) .